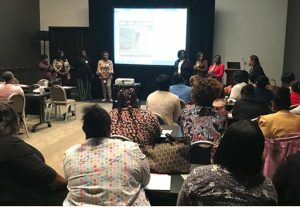 Hinds County Human Resource Agency’s Head Start In-Service Training held on October 9, 2017 at the Jackson Convention Complex, led to another informative and engaging learning source for the staff of HCHRA. Professionalism, Accountability, Responsibility and Teamwork is what the acronym stands for in the theme “Together: Let’s Do Our PART”. Workshop sessions included subjects on School Readiness, Digging Deeper: Looking Beyond Behaviors to Discover Meaning, Fair Labor Standards Act, and A Comprehensive Overview of the 2017 OHS Monitoring Protocol Process. Family and Community Services shared topics on An Overview of Community Action, Virtual ROMA, and Doing What Works – Performance Targeting. 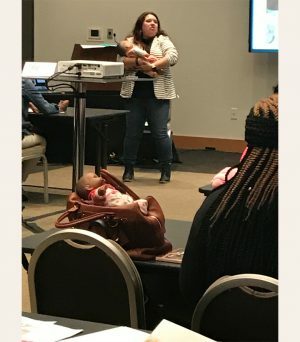 Early Head Start offered topics on Routines and Environment, Emotional Support & Self-Regulation, Facilitated Exploration and Exploration & Language Modeling. There was also a session on CPR and Standard First Aid and Safety Training. Hinds County Human Resource Agency’s Quality Assurance Specialists, Kynetta Shinard and Verlillian Williams attended the In-Service workshops and gained valuable insight and knowledge they say they can readily apply during their monitoring assessments for each of the Head Start centers. 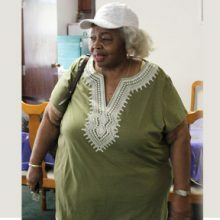 Shinard was impressed with knowledge she acquired in the Family and Community Service session. “I learned what Community Action Agencies are, I received a better understanding of the utilization of virtual ROMA and I developed a better understanding of CSBG (Community Service Block Grant)”, said Ms. Shinard. 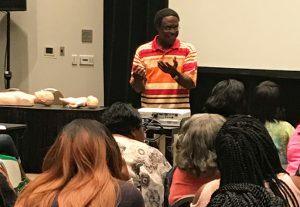 In-Service learning sessions continued on November 20, 2017 as HCHRA staff once again convened at the Convention Center. Various topics in the November training from Children’s Services included Classroom Management for Head Start Classrooms, Breaking the CLASS Ceiling: Maximizing Outcomes in Instructional Support, Fun with Phonics, and FY 2018 Head Start Monitoring Protocols. Facilities and Field Services sessions focused on Basic Hand Tools, Environmental Health and Safety Practices, and Maintaining a Clean and Safe Environment. Family and Community Services encompassed COPA Training – Eligibility, Recruitment, Selection, Enrollment and Attendance Procedures (ERSEA), Family Goal Setting and Planning, and Virtual ROMA. Nutrition Services offered sessions on Foodborne Illnesses, Cross Contamination, and Civil Rights. Transportation Services workshops included topics on Defensive Driving, How Transportation Staff Promotes School Readiness through Effective Communication, and Bridging the Gap in Transportation Safety in Schools. CPR and Standard First Aid and Safety Training was again offered as part of the In-Service workshop sessions. 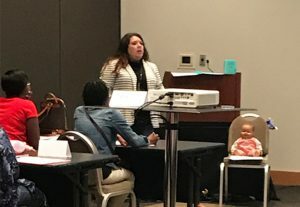 In addition to training offered each month, Hinds County Human Resource Agency offers a minimum of one pre-service and four in-service training session for Head Start staff each school year. This is part of the Agency’s ongoing commitment to ensure that staff is properly trained, and equipped with the knowledge and tools to provide the best possible environment for children and families who are a part of the Head Start program with HCHRA. More than a night of food and dancing. More than a night of speaking and awards. More than a night of black-tie elegance and entertainment. 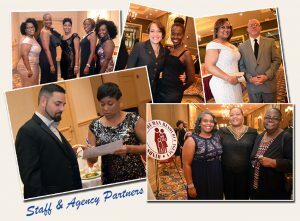 Hinds County Human Resource Agency’s 23rd Annual Awards and Recognition Gala held on Friday, September 29, 2017 at the Jackson Marriott Hotel, was much, much, more. Why? Because it involved the community. ‘Helping families, strengthening communities’ is the cornerstone of Hinds County Human Resource Agency (HCHRA), and helping Hinds County advance continues to be one of HCHRA’s main goals. Caring about the citizens and providing life-changing opportunities through the services HCHRA offers is what made the Gala more…much, much, more. It is HCHRA’s annual signature event, which helps to provide critical matching funds for several services such as home-delivered meals, congregate meal sites, and Hinds County rural public transportation. This year’s gala was especially significant, as it was also part of the Agency’s 40th year anniversary celebrations being held throughout the year. The keynote address was provided by Ms. Denise Harlow, CEO of the National Community Action Partnership in Washington, D.C. Harlow encouraged the Agency to keep its feet to the mission of helping families and strengthening communities, as she continues to champion the work and impact of the nation’s Community Action Agencies around the country. 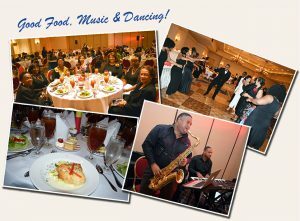 Dr. Jessie Primer III, Saxophonist, provided superb entertainment that was as excellent as the great food served up by the Marriott as everyone shared in the festive night. Yet, it was even more than that. The Gala provided an opportunity to create awareness about its programs and services; to celebrate clients who transitioned out of poverty to self-sufficiency; and to honor volunteers and community partners who worked with the Agency throughout the year to help eradicate poverty and provide a better life for more than 65,000 low-income citizens throughout Hinds County. It was more, because it involved HCHRA sponsors. 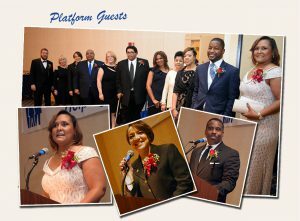 HCHRA President and CEO Kenn Cockrell remarks, “If not for the unwavering support of sponsors to help HCHRA empower disadvantaged Hinds County citizens to become self-reliant and realize their full potential, the task would be insurmountable.” The 2017 Gala was made possible by BankPlus (Platinum Sponsor); Mississippi Group Marketing, PA and The Mississippi Link (Gold Sponsors); Kenn Cockrell & Family, along with C Spire (Silver Sponsors); Entergy, HCHRA Board of Directors, Jackson Advocate, Patty Peck Honda, Phelps Dunbar, and Watkins, Ward & Stafford, PLLC (Bronze Sponsors); and valued friends, Atmos Energy, M3A Architecture, PLLC, Vera Butler and Chelsea Luster, Mississippi Development Authority, HCHRA Advisory Committee, Walker & Son, Jackson Memorial Funeral Service, WEM Consulting Group, WWISCAA, and David Knight & Natasha Phillips, D.O. Contributions made this year will go towards expanding programs and services in the upcoming year. “Having strong corporate and community partners who are committed to the Agency’s efforts has made a tremendous difference in the lives of the children and families HCHRA serves. 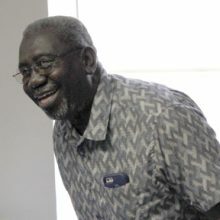 We thank them for believing in the work we do,” said Cockrell. It was more, because it involved HCHRA donors. 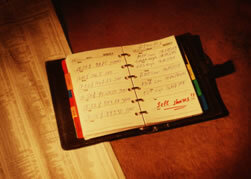 Donor generosity was undeniably at the top of the charts! From must-haves to essentials, from dining to on-the-go, from dressing up to a night out, as well as remarkable artwork, generous donations in support of the HCHRA Awards & Recognition Gala’s silent auction, its first ever, helped to make the evening a grand affair. 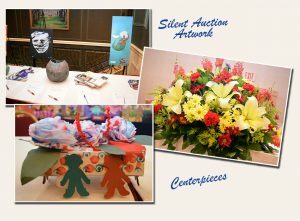 Silent auction items included everything from tickets to Walt Disney World, to gift cards at local restaurants. HCHRA thanks Office Products Plus, Penn’s, McAlister’s Deli, The Fairview Inn, Almeta Roberts, IP Casino Resort & Spa, Caesars Entertainment/Horseshoe Tunica Hotel & Casino, Kats Wine & Spirits, Walmart (Flowood), C Spire, MS Products, Inc., Staffers, TempStaff, M3A Architecture, PLLC, R.J. Young, Elkins Wholesale, Kendra Scott, Andrea Little, Marriott (Jackson), Hilton Garden Inn Jackson/Downtown, Heartwood, Aundrayeah Ramsey, Vera Butler, Jimmy Mumford, Kwame Braxton, Craftsmen’s Guild of Mississippi, Venture Technologies, Walt Disney World Company, Jessica Davis, and Jackson Data Products for their support. HCHRA’s 23rd Annual Awards & Recognition Gala was more than just a night of food and dance, or speaking and awards; it was much, much, more – it was to honor the work HCHRA has done over the past 40 years to make Hinds County a more prosperous community in which we are all afforded access and opportunities to education, employment, health, and safety. To all of our staff, volunteers, friends and supporters who contributed in any way, HCHRA thanks you. Each year, HCHRA honors individuals and organizations who help to further the mission of HCHRA, as well as those who work to help families and strengthen communities throughout Hinds County. 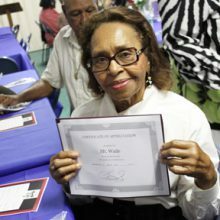 Presented to individual(s) whose work in and for the community during the year most closely personified the noble legacy of Medgar Wiley Evers. Presented to the individual, organization or community group that has made the greatest contribution to the community during the year. Presented to the individual or institution that has generated or provided substantial monetary and other resources during the year. Presented to the individual who has been the solid rock of support for the Agency because of his/her steady guidance and leadership during the year. Presented to the agencies, organizations or individuals that have contributed tremendous support to the Agency during the year. 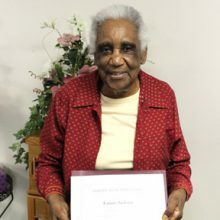 Presented to individuals who unselfishly contributed their time and resources to the Agency in order to make a difference in the lives of the children and families served during the year. Presented to the individual within Hinds County Human Resource Agency (Board, Policy Council or staff) who has served people and has met the mission of the Agency during the year. Presented by the President and CEO to the individual who has made outstanding contributions to the success of the Agency. At Hinds County Human Resource Agency, our goal is to help families and strengthen communities. 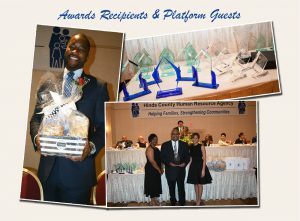 The Annual Awards and Recognition Gala is Hinds County Human Resource Agency’s annual signature development event, which helps to provide critical matching funds for several services such as home-delivered meals, congregate meal sites, and Hinds County rural public transportation. 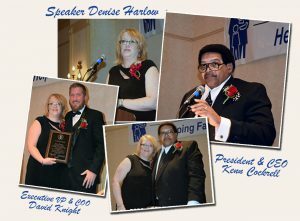 The featured keynote speaker for this year’s Gala will be Denise Harlow, Chief Executive Officer of the Community Action Partnership in Washington, DC. Enjoy dinner, live music and dancing, entertainment, and a fabulous silent auction. Cash and credit cards accepted. Tickets are $75. The Gala provides an important opportunity to create awareness about our programs and services; to celebrate our clients who have transitioned out of poverty to self-sufficiency; and to honor our volunteers and community partners who work with us throughout the year to help eradicate poverty and provide a better life for more than 65,000 low-income citizens throughout Hinds County. Our programs and services would not be available without the invaluable support of our community and corporate partners. With your gift, we can do more! To make a donation or for more information on tickets, ads, and sponsorships, call 601-923-1838. A Smashing Senior Awards Day! “I don’t like instant grits!” were the words that bolted out of the mouth of anchorwoman Maggie Wade of WLBT News as she spoke to a lively crowd of about 45 seniors during the Senior Awards Day program held on July 12, 2017 at Mt. Wade Baptist Church in Terry, Mississippi. “I’ve learned to laugh at myself. I’ve learned to stay humble. I’ve learned patience. And I’ve learned to forgive and let it go. When you get older, people think you are less useful. Give our youth the right example. 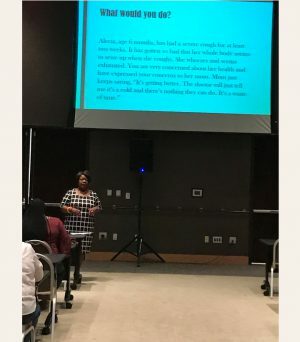 You are still equipped to use the wisdom you have to reach out to the kids of today,” Ms. Wade continued. She encouraged the seniors and let them know that there are things left for them to do. 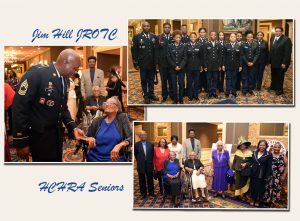 The Senior Awards Day was an appreciation event hosted by Hinds County Human Resource Agency (HCHRA) for seniors in the Hinds County area. Rural area sites convened together at Mt. Wade not only for opportunities to socialize, but to present awards for the Funniest Senior, the Best Dressed and the Senior of the Year. To some, receiving an award was a very pleasant surprise. HCHRA Neighborhood Service Center site managers who organized the awards program were Emma Welch – Mt. Wade Neighborhood Service Center site manager, Vivian Johnson – Edwards Neighborhood Service Center site manager, and Towanda Anderson – Fannie Jackson Neighborhood Service Center site manager. Cornelius Beasley, assistant vice president of Community Programs and Services, states the purpose of the awards event was to show appreciation for our seniors in the Hinds County area and to create greater awareness about the programs and services HCHRA has available for seniors, especially in the rural parts of the county. 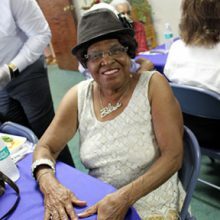 “We hope that seniors will see what we’re doing and realize they have a place to go to during the week to socialize, enjoy hot meals, and participate in fun, safe activities,” said Beasley. 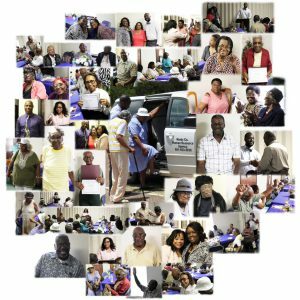 HCHRA Neighborhood Service Centers are open Monday through Friday from 9:00 a.m. – 12:00 p.m. Last year, HCHRA served more than 5,700 congregate meals to senior citizens at gathering sites throughout Hinds County where seniors met and participated in social activities. 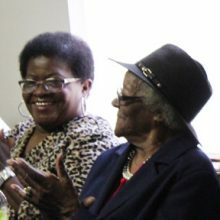 The Congregate Meals Program is funded by the Mississippi Department of Human Services Division of Aging and Adult Services through the Central Mississippi Area Agency on Aging. For more information about senior services and activities offered by HCHRA, call (601) 923-3930 or click here. knew the award was going to Ms. Pope! “I feel great! 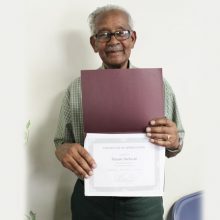 It’s good to receive an award.” Mr. Funchess attends the center regularly, hardly misses a day. doesn’t want to go. She’s 85.
a little strut in her step. She attends the center diligently. and sometimes when it’s not needed. 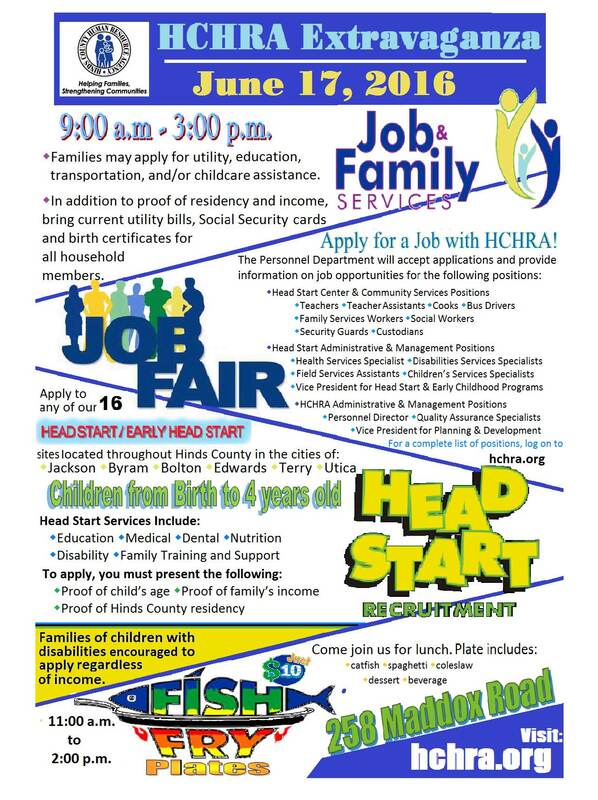 On Friday, June 17th, Hinds County Human Resource Agency (HCHRA) will host a Head Start Recruitment, Family Services and Job Fair Extravaganza from 9 a.m. to 3 p.m. at our central office located at 258 Maddox Road in Jackson. HCHRA will also host a fish fry from 11 a.m. to 2 p.m. If you are interested in enrolling your child in Head Start, starting a new career, or receiving assistance with utility bills, transportation, education or child care assistance, come out to the HCHRA Extravaganza. Parents of children who are at least 3 but not yet 5 by September 1st can complete an enrollment application for one of 16 Head Start centers in Hinds County. Be sure to bring proof of income, Hinds County residency, child’s age and child’s Social Security number. Children with disabilities or suspected disabilities will be given priority for enrollment regardless of income. A complete list of Head Start sites and application requirements can be found on our website under the Head Start & Early Head Start tab. As an additional service to our Head Start families, staff will be available to see if families qualify for utility assistance payments, education tuition, child care assistance, or a number of other services we can provide. You must be a resident of Hinds County and meet income guidelines. To apply, bring your current utility bills, proof of residence, a valid photo ID, Social Security cards and birth certificates for all household members (regardless of age), and proof of income. There will also be a job fair from 9 a.m. to 3 p.m. HCHRA is hiring in all areas and has positions available for teachers, social workers, management information, family services, security guards, quality assurance, cooks, bus drivers, facilities, custodians, personnel director, vice presidents and many more. Anyone interested in employment should come by and apply for one of several positions. Hiring managers will be on site. For a complete list of job openings, visit the employment page on our website. As part of the Extravaganza, HCHRA will also host a fish fry from 11 a.m. to 2 p.m. to support community programs. Join us for lunch and support a great cause. Fish plates are only $10 and will include catfish, spaghetti, coleslaw, dessert and a beverage. Friday, June 17th from 9 a.m. to 3 p.m.
Hinds County Human Resource Agency (HCHRA) will host its 2016 LIHEAP (Low-Income Home Energy Assistance Program) Awareness Day for Seniors and Citizens with Disabilities on Thursday, March 24, 2016, from 10:00 a.m. to 2:00 p.m. at the Jackson Medical Mall Community Meeting Room located at 350 Woodrow Wilson in Jackson, Mississippi. The Low-Income Home Energy Assistance Program (LIHEAP) is a federally-funded program that helps low-income households with paying their home energy bills with special provisions made to serve homebound, elderly and citizens with disabilities. LIHEAP helps to keep families safe and healthy by reducing the risk of problems that arise from unsafe heating and cooling practices. In addition to bill payment assistance, the program also provides energy crisis assistance, weatherization and minor energy-related home repairs. Energy companies Entergy and Atmos will be in attendance to provide energy-saving tips, information about their services, and information on how to remain safe when trying to keep homes warm or cool in extreme temperatures. Refreshments will be served. Any senior and any citizen with a disability who lives in Hinds County and receives SSI, Social Security, or VA benefits from the government is encouraged to attend the 2016 LIHEAP Awareness Day. All other Hinds County residents, including heads of households who have a senior or person with a disability living in their household, should contact HCHRA at 601-923-3950 to schedule an appointment at the Agency for case management. Clients who were served by HCHRA in 2015 will need to bring their 2016 award letter from the government (or printout from Social Security Administration), proof of sources of income, and current copies of their energy-related utility bills (i.e., lights and gas). Persons who have never been to HCHRA will need their 2016 award letter, proof of sources of income, current utility bills, as well as their birth certificate, Social Security card (or printout from Social Security Administration), and a government issued picture ID. LIHEAP funding is provided by the U.S. Department of Health and Human Services through the Division of Community Services, Mississippi Department of Human Services. To qualify, applicants must meet income guidelines set by the state and federal government for LIHEAP assistance. For additional information about the 2016 LIHEAP Awareness Day for Seniors and Citizens with Disabilities in Hinds County, or other community programs and services offered by HCHRA, call 601-923-3950. Hinds County Human Resource Agency is working in partnership with the Hinds County Department of Emergency Management to track our weather and keep you informed of the latest developments. If the weather should become severe, be sure to check our website for up-to-date information on Hinds County Human Resource Agency office hours, access to our community programs and services, and Head Start Center closings. You should also tune in to your local news stations for updates. Make sure you are prepared for the threat of severe weather. Check out helpful emergency preparedness tips provided by the Hinds County Department of Emergency Management. The City of Jackson also encourages you to sign up for Code Red severe weather alerts on the City of Jackson’s website, and to call 311 to report and track any problems. All Hinds County Project Head Start and Early Head Start Centers will be open on Friday, August 31, 2012, except Willowood Developmental Center Satellite Head Start Classroom. Hinds County Human Resource Agency (HCHRA) will host its 18th Annual Awards & Recognition Gala on Friday, September 21, 2012, at 7:00 p.m. at the Jackson Marriott Hotel in downtown Jackson. This year’s speaker is Dr. Jerry Young, pastor of New Hope Baptist Church. Entertainment will be provided by “Amos B” – Saxophonist Extraordinaire. This year marks a signficant milestone for HCHRA as we celebrate 35 years of providing quality education and community programs that have positively impacted the lives of thousands. The Gala will help provide critical matching funds for several of our programs and gives us an opportunity to celebrate the achievements of individuals who have defied the odds and overcome challenging life circumstances. We also recognize our community partners that work with us throughout the year to help eradicate poverty and provide a better life for more than 52,000 low-income citizens in Hinds County. Tickets for this event are $50.00 per person. General donations are also welcome. For information on tickets or advertising, call (601) 923-1838. At Hinds County Human Resource Agency, our goal is to help families and strengthen communities. 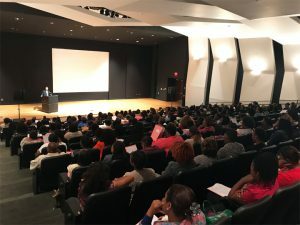 We have built a solid reputation in eradicating poverty by empowering disadvantaged Hinds County citizens to become self-reliant and realize their full potential. Hinds County Human Resource Agency (HCHRA) holds its monthly Board of Directors Meeting on the third Wednesday of each month at 7 p.m. at the Central Office located at 258 Maddox Road, Jackson, Mississippi. Board Meetings are held on the third Wednesday of each month. The meeting is open and Hinds County citizens are encouraged to attend. 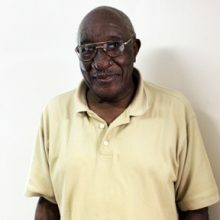 For more than 35 years, HCHRA has built its solid reputation in eradicating poverty by empowering disadvantaged Hinds County citizens to become self-reliant and realize their full potential. Through Head Start and Early Head Start, rural transportation, home-delivered meals, home energy assistance, case management, and RSVP programs, HCHRA continues to improve the conditions of children, families, single adults, the elderly and the disabled in our communities. 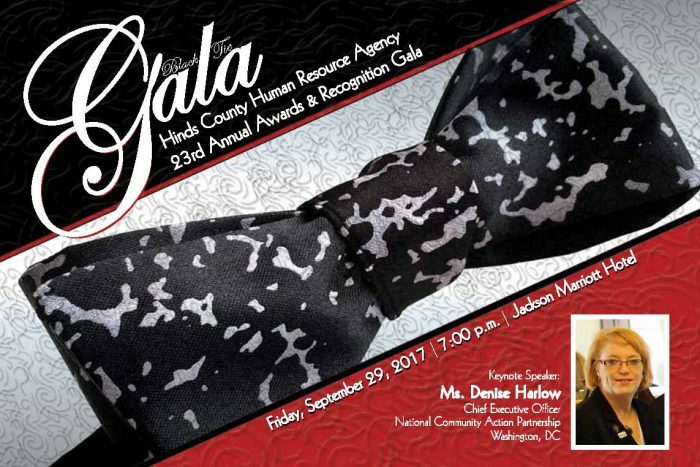 Hinds County Human Resource Agency is preparing for its 18th Annual Awards and Recognition Gala at the Marriott Hotel in downtown Jackson on Friday, September 21, 2012 at 7:00 p.m. This event honors the achievements of individuals who have beaten the odds stacked against them by poverty. Community partners will also be recognized for their support. For additional info, call (601) 923-1838 or email angeliquer@hchra.org.